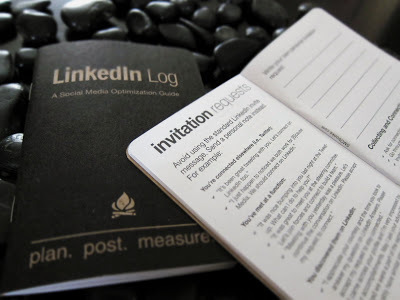 LinkedIn Log – Make 2012 a success! – Adventures in Networking! 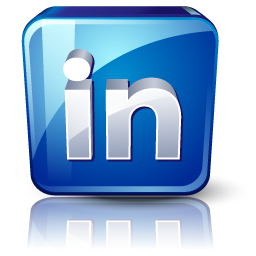 LinkedIn Log – Make 2012 a success! Social media is fun but unfocused and messy. LinkedIn is about real business networking. A few weeks ago a wonderful peer saw this resource and sent me a note. I was fascinated and ordered a couple to check out. 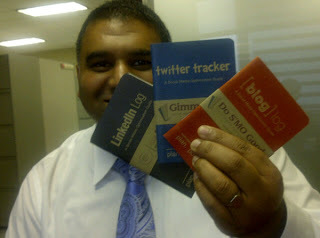 What followed changed my year, and will make my 2012 ( and yours if you choose ) a LinkedIn business success. I get my hands on thi s little book, it looks like a passport. You can fill it out over an hour or so, but it makes you think. It guides the reader to create a well rounded profile – ON PAPER!! Why is this a revolution? All other books just tell you what to do and leave you on your own. That doesn’t work for any business professionals who are not digital natives (coined by Humber educator Ken Wyman) , ie. anyone over 30. Also, most other great books on LinkedIn are out of date with the constantly evolving program – this was just published. THIS book, changes the game. I showed it to one executive who wanted to help their staff get better at LinkedIn, they said “holy crap, this is it” and did a bulk order with 24 hours. 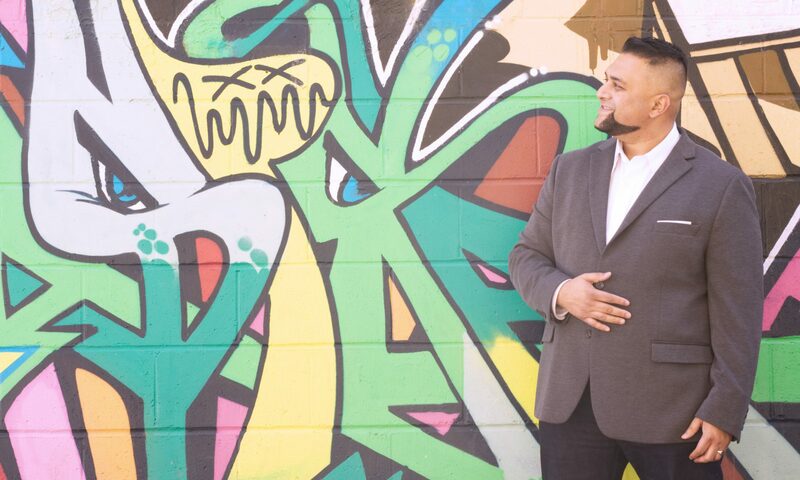 I personally put out a few hundred of my own money and bought a bunch for an education session I was giving on LinkedIn to the supercool folks at Social Media breakfast – and I sold out my few dozen in 5 minutes. So take heed, I am getting behind this 100% in 2012. You can order it online here but I’ll be doing bulk orders and helping my network get their hands on them, let me know if you want one. $10 ( total! Tax and shipping) to make your profile better? That’s an easy investment. As another business executive who saw it and bought it right from my hands said to me “online, I don’t get it, I can’t do it. I don’t have time to figure it out” but holding this hand-sized book “but THIS, this I get. THIS I can do”.